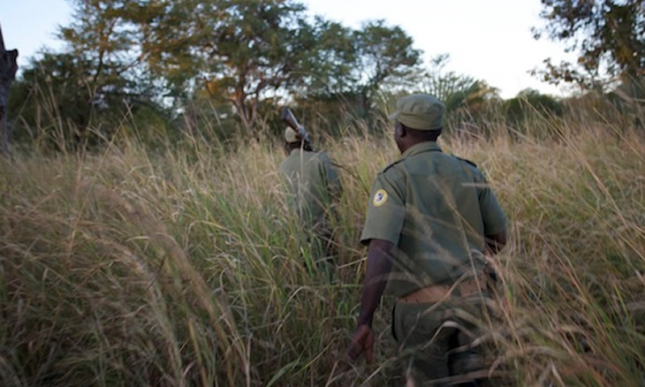 Mozambique’s 14 nature reserves and parks need an additional 1,300 rangers – in addition to the current 1,200 – to combat poaching, Director of Protection and Inspection Services of the National Administration of Conservation Areas (ANAC) Carlos Lopes has said. Lopes told public radio station Radio Mozambique that, with the current force, each ranger was supervising more than 315 square kilometres, against the recommended fifty. “The number of rangers we have today is insufficient. A sufficient number would be 2,500,” Lopes said, speaking on the occasion of the World Ranger Day. The answer was to increase the number of rangers in training, equip staff better and strengthen coordination between institutions involved in the fight against poaching, he added. In March, Carlos Lopes said that Mozambique was losing elephants “at a rate that, if not radically altered, will lead to their local extinction or, at best, the unsustainability of populations in the region”. The rate of illegal slaughter and the lack of resources for monitoring and combating poaching were among the main problems, he said. With ANAC preparing to carry out the country’s third elephant census, this year could be decisive for the future of the species in Mozambique.